There are total of 15 archangels known to us. Each Archangel has their own purpose, but they help us in all situations when called upon with a pure heart. Like Crystals, there are Archangels associated with each Chakra, and every Archangel has an affinity to a certain crystal! We can call upon the Archangels by shouting out their name thrice or connecting to them with the help of Distance Symbol HSZSN or using the crystal associated with the Archangel. The Archangel associated with this Chakra is Archangel Sandalphon. His main role is to carry our prayers to God, so they may get answered. He is also associated with music and we might feel his presence more when we listen to music, sing or play an instrument. So next time we want to balance our root chakra we can just put on some music, call upon Sandalphon and get our Chakra balanced. His Crystal affinity is Turquoise. The Archangel associated with this Chakra is Archangel Chamuel. He also helps in love, confidence and career matters. His Crystal affinity is Rose Quartz or Fluorite. The Archangel associated with this Chakra is Archangel Uriel. 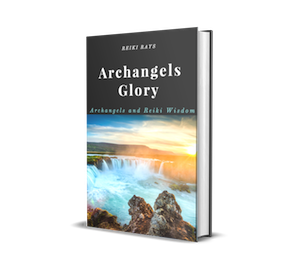 He is considered as one of the wisest Archangels because of his intellectual information, practical solutions, and creative insight, but he is very subtle. We do not even realize that our prayers have been answered till we have a brilliant idea hitting us. His Crystal affinity is Amber. The Archangel associated with this Chakra is Archangel Raphael. He is associated with all forms of healing in living beings. He is also associated with travel. We can call upon him for safety and protection when embarking on a journey. His crystal affinity is Malachite. The Archangel associated with this Chakra is Archangel Michael. He is considered as the leader of all the Archangels. He is charge of protecting us physically, emotionally and spiritually. He also helps us in cutting chords which bind us to our past memories and people, thus making moving on easier. His Crystal affinity is Sugilite. The Archangel associated with this Chakra is Archangel Gabriel. She helps us with creativity, communicating, guiding others and nurturing our inner self. Her Crystal affinity is Citrine. The Archangel associated with this Chakra is Archangel Zadkiel. He helps us in gaining clarity, forgiving and new ideas. Also helps us in emotional healing. He with his flame can turn negative vibrations to positive vibrations. His Crystal affinity is Lapis Lazuli. This method is very useful when we feel too restless to meditate; we can call upon the Archangels to balance our Chakras or also when we are healing someone else. If one wants to combine Archangel and the Crystals they might think, since different Archangels are associated with different Chakras and their affinity to the crystals does not match with the traditional crystals associated with our Chakras, it might create havoc in our body. But from my personal experience, I can vouch that only thing that can happen to us is, our Chakras will get balanced much faster. There will be no adverse effect on our body; we will just have an extra spring in each step, making our life joyful. Thanks for sharing excellent article. When we do reiki on each chakra can we call all the archangles who are related to each chakra ..
Can u also tell us all the archangles names not only related to chakras. 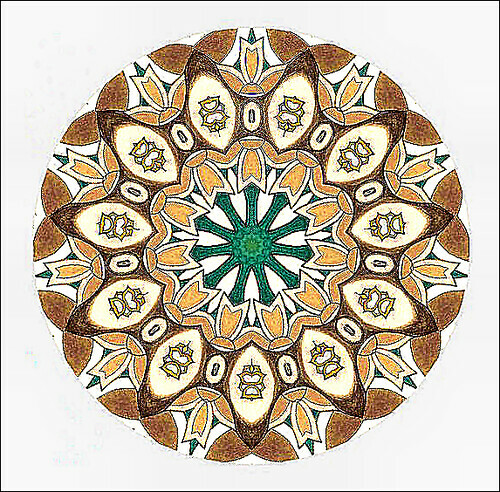 When we do reiki on each chakra cnan we call all the archangles who are related to each chakra ..
urgent help is required…..at my friends native place (narwana, haryana, india) 4 children are missing since yesterday evening…..frm a single family……..plz any tip..or method of reiki to solve the crisis situation……all healers r requested to give suggestions or healing to help the parents find their children. What happened to the missing children.did they find them?r they safe? sorry to mention…dead body of the youngest child 3 years old of is found in hissar channel….rest are still missing…seems to be the case of abduction….don’t understand….who is more cruel…..kidnapper or the god…..? Very sorry its So horrible. Wish the rest of the children to be safe and protected..I request reiki and all the masters archangles. I think you have amazing information and I welcome it daily. Recently your posts have been answers to exactly what has been on my mind that day. You are very special. Thank you all the way from Australia for your daily guidance Sunetra. I love all your posts. They are really interesting and informative. Thank you! Please sunetra you send photos of 7 chakras angels & their names. Thanks for this article. However, I am a bit confused about the archangels associated with third eye chakra and throat chakra. In a previous article on Reiki rays, it was said, Gabriel is associated with throat chakra and Michael is for third eye chakra. I think that also was written by you. Please do clarify. Every source I come upon seems to say something different. It is confusing for sure! Thank you for this wonderful tip. Angels had always been a strong presence in my life.To connect angels with reiki is nothing bet GRACE ! Really appreciate All your advice. Hi, do you do healing work? And if so what is your contact details? Thanks! Thank you for sharing with us ant type of useful information! Could you please tell us the source of the information about the archangels? I’m asking you this because some time ago I found very different information about the archangels associated with each chakra, information from another source, apparently a Trustful source, and the only information which was the same was about that Archangel Michael is associated with the throat chakra. 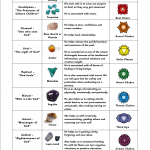 I am confused with the choice of stones for the chakras. These stones do not correspond with the color of the chakras. Does that matter? Typically, starting with Root, the colors would be Red, Orange, Yellow, Green, Blue, Indigo, and Violet or Clear Quartz. Is it because of the Archangel being called upon? Thank you! The Crystals mentioned here corresponds to the Affinity of the Archangel. For example Archangel Chamuel has affinity towards Pink Quartz. Hi, I recently had a reiki session where archangel Azreal came. Can you please speak about other angels and archangels, that are not the usual ones associated with the chakras. I would like more complete information. Dear Sunetra, Who are these archangels and how they are associated with Reiki ?